Is there any evidence of trade with Egypt and Minoan Crete? Currently there is no evidence for trade (either direct or in-direct) between the Indus Civilization and Egypt or Minoan Crete. However, many types of goods from the Indus region were traded to Mesopotamia and some of these –most likely unique, valuable and easily portable items like beads – may have been subsequently traded onwards to societies in the eastern Mediterranean region. Only a careful study of the collections from excavated sites in Egypt or Minoan Crete can determine if this was the case. The evidence of Indian trade essentially goes along Persian Gulf. Several sites on the strait are dotted with Harappan seals etc. However, the Indian genetic signal can be found on the cusp of Ethiopia also. So a meticulous study of the ancient sites in Red Sea should yield evidence of connection between the two. Harappans were good sea fearers and trade and resource hungry. So it would be surprising if they did not go to the Red Sea and Egypt. The westernmost object from the Indus Valley – a bleached carnelian bead – was discovered at the Early Bronze Age site of Kolonna on the small island of Aegina in Greece. Aegina is located at center of the Saronic Gulf in the Aegean Sea, 30 km southwest of Athens and in the Bronze Age the island controlled the maritime crossroads between the Greek mainland, the Peloponnesus, the Cyclades and Crete and. Its material culture reflects all these influences and Kolonna is considered to be the earliest example of a ranked society in the Aegean outside Crete. The famous Aegina Treasure (now exhibited at The British Museum) – which includes masterpieces of gold jewellery as well as many beads and pendants made of a lapis lazuli, amethyst, carnelian and green jasper – is an outstanding demonstration of its economic dynamism. The Indus beads was part of a hoard dating to the Early Helladic III period, ca. 2200-2000 BCE, and it is quite likely that it arrived in the Aegean Sea as the result of intermediate trade though Mesopotamia and Anatolia or Syria rather than for a direct interest of the Harappan merchants in this region. However, I would love to see collections from Crete re-examined in search for Indus materials, which were very poorly known at the time of the vast excavations on the island. Other, single Indus beads are known from Troy and Hattusa in Western and Central Anatolia and from Ebla in northwestern Syria. There is no evidence instead of Indus materials in Egypt yet. As far as we presently know, no. However, Indus beads have been recently identified at Troy, and other unpublished or non-recognized Indus materials might be found in future in old collections from Egypt and Crete, provided that archaeologists familiar with the Indus could inspect the objects. 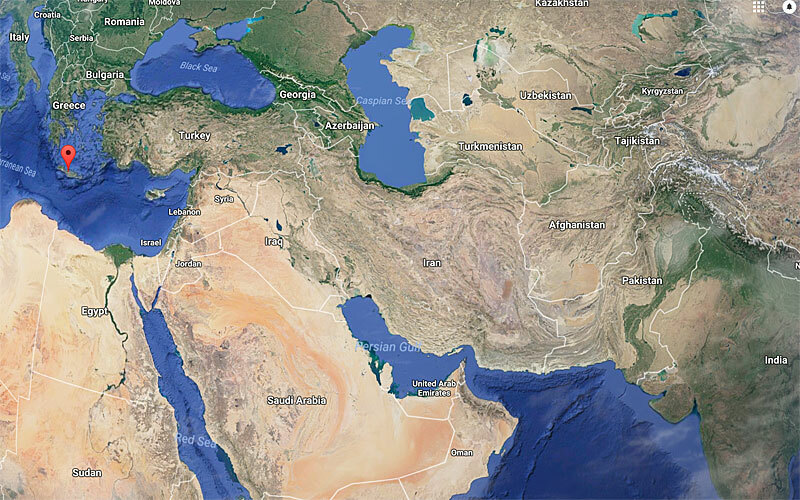 Map of Crete [red marker], Egypt, Middle East and South Asia, courtesy Google Maps.